Rent a personal 25-passenger minibus for your traveling group that’s too small for a full-sized coach but too large to effectively split into multiple cars. 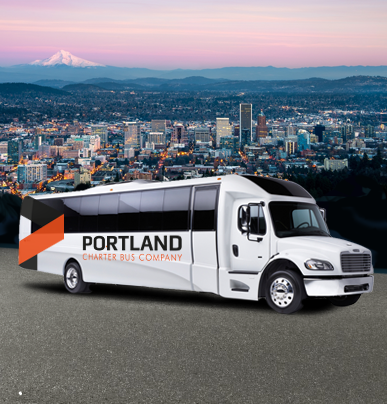 We’ll keep all passengers organized as you travel through Portland to every destination on your itinerary. 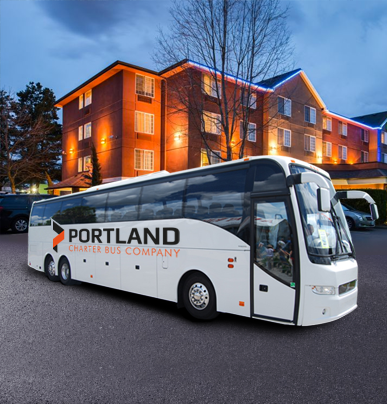 No matter where you’re headed, Portland Charter Bus Company has your group travel needs covered. 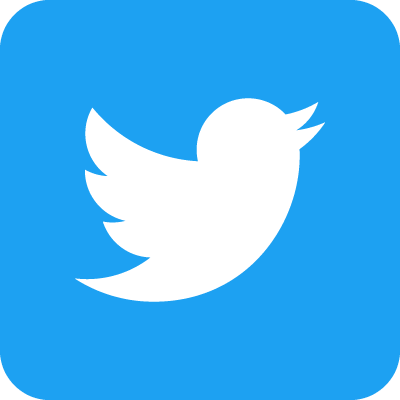 Call our 24-hour reservation staff at 503-922-0114 to receive a free quote and to learn more about our travel services. Rely on us to streamline transportation to weddings, corporate conventions, sporting events, field trips, and more! 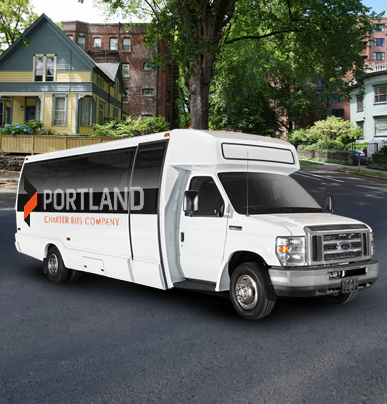 Book a 20-passenger minibus to streamline your small group’s transportation through Portland. Its compact size makes it the perfect vehicle for zipping through city traffic. With many of the same amenities as a full-sized model, you can travel in comfort without too much extra space. The largest minibus model is perfect for medium-sized groups who don’t want to separate themselves into multiple cars. Travel through Portland with ease, whether you’re headed to a sporting event, field trip, or other outing. Your rental includes a professional driver to handle all your travel arrangements throughout the city. Perfect for event shuttles, the 18-passenger minibus is made for short-distance travel. 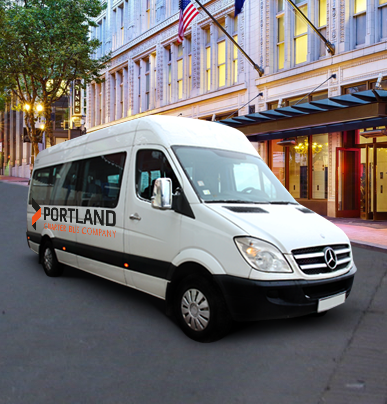 Load your group into your own minibus for a day exploring Portland or for a day trip to a nearby city. Don’t let its small size fool you; these minibuses have plenty of interior storage for every passenger’s personal belongings. Keep your large group organized with a 56-passenger charter bus. Everyone will ride together and relax without the fear of getting separated while on the road. Traveling with more than 56 people? We’ll put together a fleet customized to your group.